Ultimate flexibility. Tailored to your needs. Sealink is one of the only maritime VSAT solutions on the market which can be fully tailored to meet your specific requirements, with services for crew welfare, passengers, contractors, partners or clients. It provides flexible broadband communications with global coverage, tailored to your needs and backed by Marlink’s expert customer support network. Bandwidth is also customised to include a specified bandwidth bit rate. With a Marlink managed end-to-end customised solution, you get the quality, reliability and flexibility to meet all of your communication needs. Marlink’s high bandwidth customers can access dedicated support from the Maritime Network Operations Center (MNOC) located at Eik Teleport, Norway. 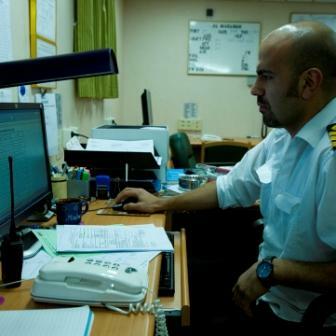 The MNOC is built up of Antenna and Network Engineers with long experience supporting Maritime VSAT solutions. The MNOC handles all standard changes to the vessel during the contract life cycle, such as bandwidth and coverage changes as applicable and can gain direct remote access to your vessel and proactively monitor onboard connectivity performance around-the-clock. 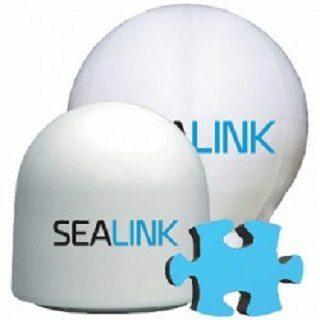 Sealink Premium is available with Intellian and Cobham antennas with a choice of sizes to meet your needs. The vessel is equipped with advanced antenna systems, with above deck and below deck units. We use robust equipment designed specifically for maritime use to withstand extreme environments at sea. Sealink Premium can be selected with regional or global Ku-band coverage, or global C-band. Marlink operates the most extensive VSAT network in the market with several overlapping beams in most regions. This means vessels will rarely (if ever) be outside of Ku-band coverage, and in most regions are served by two or more Ku-band beams, providing robust satellite resiliency. SMARTConnect: portfolio of low latency, high bandwidth multicarrier solutions. @SEAoptimiser: WAN and protocol optimisation and web compression. @SEAwebControl: blocks access to specific websites and restricts bandwidth consumption. Marlink ensures coverage for all our vessels, providing connectivity for guests and our business, operational and crew welfare needs.